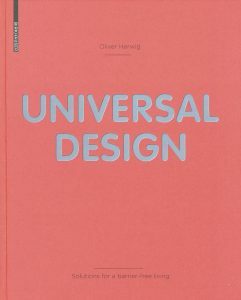 The organization of the Universal Design principles was developed in 1997 in America by a working group of designers and are meant to act as a guide for the design and development of products, processes and various kinds of communication. 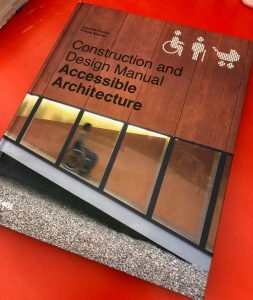 They still have relevance today as a guide to the many aspects of designing for people with disabilities. Whilst the aims are not complicated they have been found to be effective in a various ways, in particular as a manifesto for designers who work across disciplines including working with health professionals. The first principle is particularly important in that it states that designers should avoid segregating or stigmatizing users. Wheelchair access has been widely accepted as necessary in our urbanized landscape, but there are still improvements to be made. Brisbane occupational therapists working with people with diverse abilities report that although more wheelchair access is generally provided, wheelchair users still encounter significant mobility issues. For example, one issue is that architects and builders may specify the width and placement of a disability ramp without due consideration of the users’ needs in turning the wheelchair into an entry. So although the wheelchair user with a carer can get up the ramp they can find it very difficult to turn into an entry and hold the door open at the same time. Another lack of design foresight occupational therapists and wheelchair users have encountered is in relation to the location of disability car parking spaces. While it is good that they are provided, they are often crammed into areas that do not leave sufficient space for wheelchair users to always be able to get in and out of their vehicle because their doors cannot be fully opened if there is another vehicle parked next to them. Principal 7 states that the designer should ensure adequate space for the use of assistive devices. Whilst these two examples may seem obvious and relatively easy to solve, they were taken from real situations that could have been prevented by adherence to one or more of the 7 principles and their inherent recognition and understanding of the issues that wheelchair users face on a daily basis. Typically too, occupational therapists would address the needs of the person with the disability in conjunction with the designer. This and other important recommendations for designers are outlined under the various principle headings. Essentially the Universal Design principles are about a better way of living and working together in ways that respect and consider everyone’s needs and abilities.